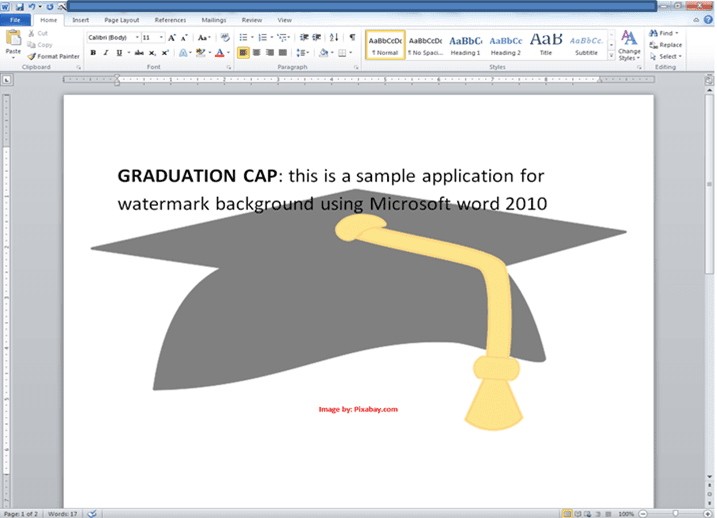 In your document application using Microsoft Word 2010, you can use watermark as a page background of your document application. Example, if you're going to create a certificate, you can use images as a background. 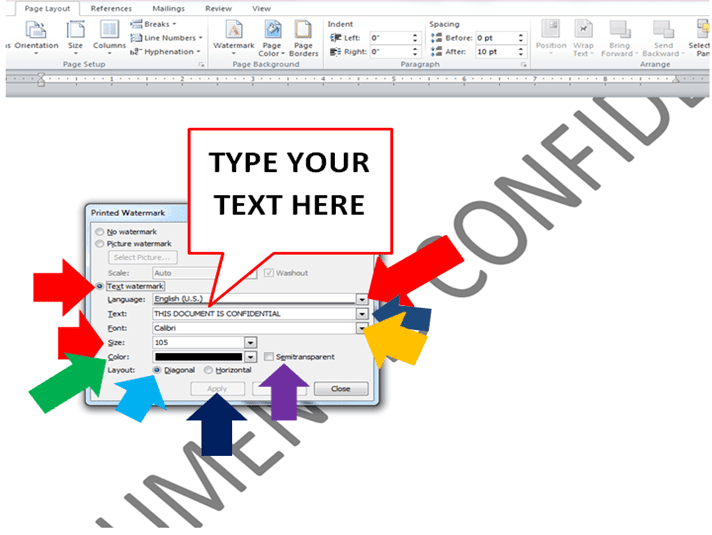 And also if you're going to make a text document but you need to put a text at the center, example "This is confidential" you need to create a text background position at the center of your document template. 1. 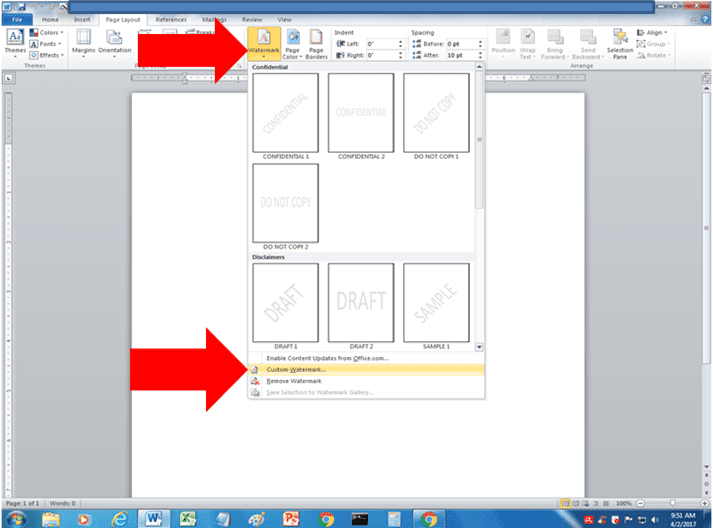 PAGE SETUP- First of all you need to setup the margin of your document. All you need is to click page layout/ click click watermark/ then click custom watermark. You can use the ready- made watermark but if you wanted to create your own click custom watermark. 3. SELECT PICTURE WATERMARK- Picture watermark is the beautiful part of the application. You can use beautiful images as you want but it is depend to the relation of your document. After you click the custom watermark, a popup window will display called "Printed Watermark", select the option button called "Picture watermark"/ then click "Select Picture"/ then click the down arrow bar called scale. 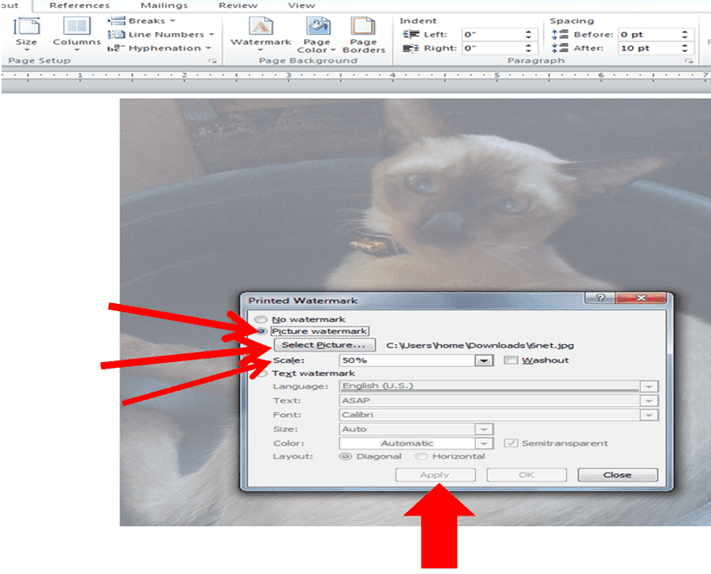 In this part you can set the percentage of the size of the picture you want as watermark background. You can checkbox also the WASHOUT for the display mode of the picture. Same of the image above here. 4. 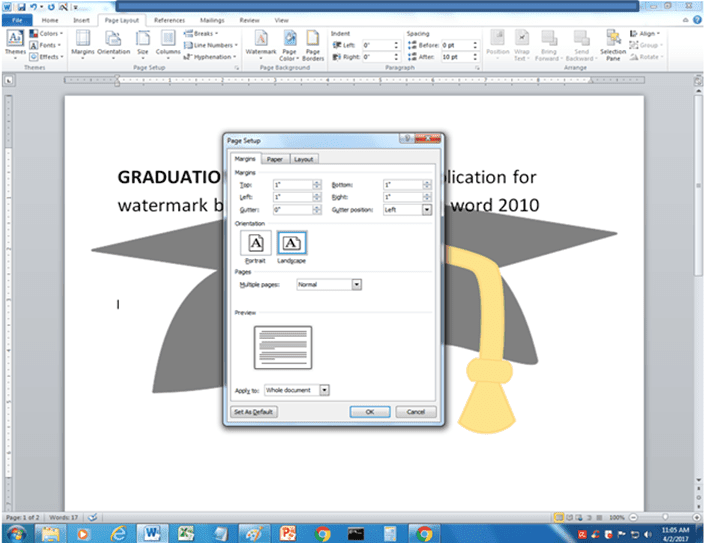 TEXT WATERMARK- is a text, numbers or other that needs to put as background at the back of your document. Or either you use the text watermark as a notification to a reader that this document is "CONFIDENTIAL" or you own that document. After you click the custom watermark on the drop down list, a pop-up window will display. Click the option radio button called "TEXT WATERMARK". Then at the drop/down arrow bars you can select the language. Then in the text, you can type a notification or a word or a line of a sentence. You can select font style, like Calibri and also the font size of your text including the color you want. You can also position your text watermark either DIAGONAL or HORIZONTAL and also you can change the mode by clicking the checkbox called "SEMITRANSPARENT". Follow the images and the arrow I put in all images I attached in this post. And you can use also other post here for more tutorial information. Follow the below link I attached here.